Travel to destinations outside of the United States will be more attractive than earlier in 2008 because of the stronger dollar. Currently, there is a 20% discount in the cost of the Euro but there is no guarantee that the exchange rates will stay this favorable. We hope that you will stay closer to home and see the magificence of our National Parks. The price of a gallon of gasoline in the United States is averaging around $1.65 right now and seems to be headed lower. Many forecasters are expecting that this will not hold through next summer’s driving season, but it’s expected to stay well below the record prices of 2008. This should be favorable for you to choose a Tracks & Trails driving adventure since 2009 gasoline prices may be half what they were in 2008. And don’t forget that when traveling by RV, you save by buying your own food – and it usually tastes better, too! 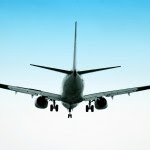 Airfares are predicted to be stable through 2009 yet scheduled flights may drop as ridership is expected to continue to be depressed due to economic conditions. If you are looking for deals, popular destinations such as Las Vegas, San Francisco and Denver will work very well with many of our itineraries. For instance, all of our trips to visit Bryce Canyon National Park start in Las Vegas which has direct flights from many locations in the eastern half of the United States. And campgrounds in the National Parks are some of the best values out there! Bottom line, we can help create fantastic and affordable family vacations. The way we do this is to shop around for the best options for RV rentals, campgrounds and excursions. Our list of suppliers is extensive with time-tested people and services. We know that price is always a concern and we work with you to create the best value for you possible.